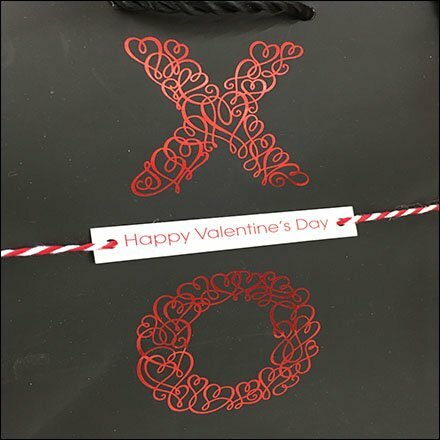 Short 1” Grid Wing Walls feature diminutive Hug and Kiss Gift Bags for Valentines Day via Plastic Flip-Front Scan Hooks. The Hooks are also diminutive keeping merchandise tucked in tight to avoid snagging passersby. And what better way to say Happy Valentines Day with a Hug and a Kiss. Seen as part of the Connections display by Hallmark at Walmart.